A difficult and distressing tale of a young boy who desperately needs to be loved. Nathan is a troubled young child. 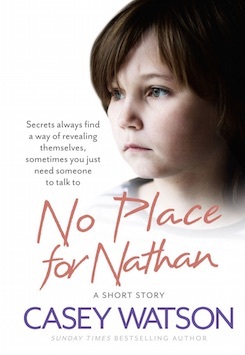 Disruptive, aggressive and, most disturbingly, prone to violent mood-swings Nathan soon finds himself in at the school’s behavioural unit, managed by Casey – Ms Watson to her students. What’s even more disturbing is Nathan’s split personalities; from Jenny with a bright blonde wig to sexually frustrated Jack, Nathan’s behaviour demonstrates some serious psychological issues. What has caused all of this? Taken under the wing of Ms Watson Nathan is able to eventually trust, learn and grow into a happier little boy. But this happiness is short-lived and soon Ms Watson finds out a devastating secret about Nathan’s family life; an abusive father who raises Nathan in a filthy and squalid home unfit for animals, let alone a small child. But with social services reluctant to help an “attention-seeking” child they’ve looked into before Ms Watson’s efforts are put to the test. Will she be able to help this frightened little boy? Or will it all be too late?